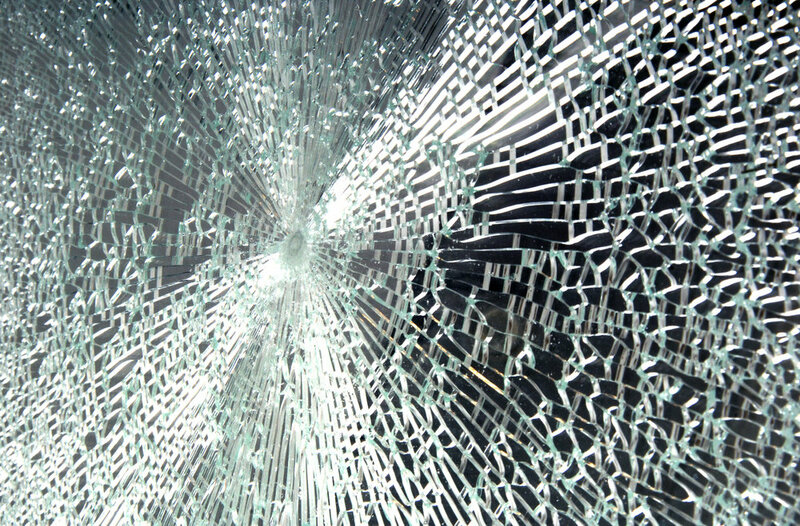 Smashed glass is usually associated with destruction, but it has an inherent and mesmerising beauty both in the patterns created by the cracks themselves and from light shimmering off of them. These combine to subtly create the appearance of movement and it is this that I have attempted to capture and utilize in a positive, constructive form. 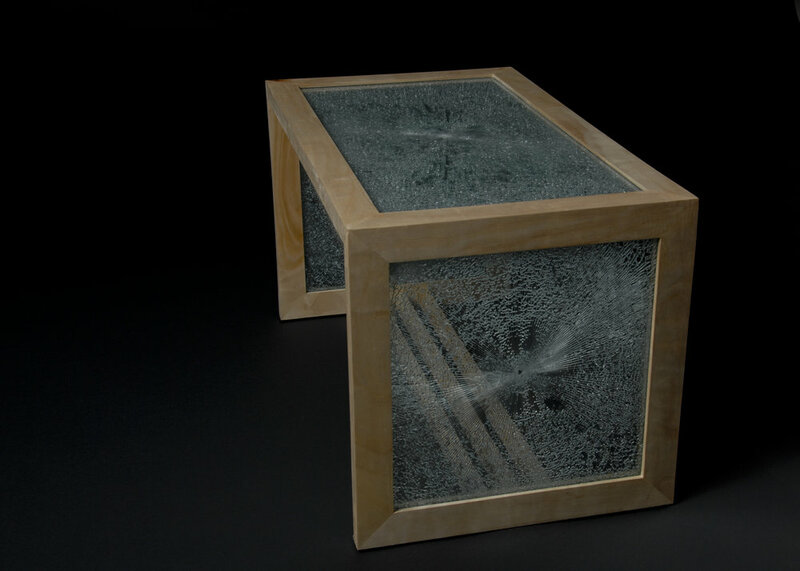 The shattered glass is sealed between toughened glass to ensure that no sharp edges are exposed. The panelled construction of the design allows it to be built to any dimensions and in various timbers. The Sycamore used in this particular piece has been grown and processed on the Isle of Wight.